Sofia Bulgaria - A Survivor's Guide! Sofia - Bulgaria's ancient capital city, is a captivating place both to travel to and live in. 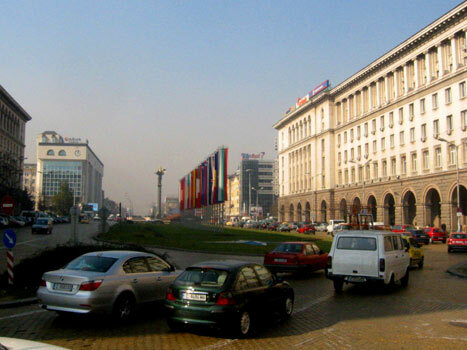 Even before Bulgaria's accession to the European Union in 2007, Sofia had proven itself as a popular tourist destination, and the number of tourists have only been increasing since then. Sofia Life is the city's leading English-language portal for Sofia, with over a hundred pages of useful information about everything in the city, from cosy cafes, hip bars and fancy restaurants through to reviews and photos of the best Sofia hotels and apartments if you need help in choosing or booking your accommodation. As well as presenting you all of Sofia's hottest hangouts (and their whereabouts), we endeavour to keep our readers' fingers firmly on the city's pulse, with the latest breaking news, from Sofia and Bulgaria, from the latest in Bulgarian politics to news from the world of culture, an up-to-the-minute calendar of events with listings of film festivals, exhibitions, parties and concerts, and the latest tricks that Mother Nature is pulling on our weather page. We also provide you the chance to talk to residents of Sofia and ask them tricky questions on our forum. Of course tourists arriving in Sofia Bulgaria for the first time will want to explore the many legendary attractions this capital has to offer, and we've prepared feature length articles on all the city's major glories. From the famous Gallery for Foreign Art, to Sofia's beautiful cathedrals and mosque, to fun places such as Sofia Land, we've got you covered! Here at Sofia Life we've aimed to create a website that is easy-to-use, at times irreverent, but always accurate, and we always welcome your comments and suggestions. Just contact us and let us know how we can improve - or even just an encouraging word if you have found the site useful. Many already have, and we appreciate their comments. That's pretty much it from Sofia, Bulgaria's dynamic capital - we hope this site helps you get as much pleasure from the city as we have! Don't forget to print your downloadable PDF guide to Sofia before you set off! Meanwhile check out the links on the left, top, and right hand side of the page for everything you could possibly need to know about Sofia and life in Bulgaria - and if you can't find anything just give us a shout. Best regards from the Sofia Life team, from the heart of Sofia Bulgaria!